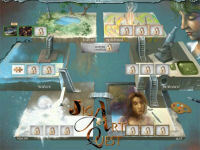 Explore the world of art in Jig Art Quest. Adventure your way through themes like Forest, Water, Snow, Art, Science and more. Try this great new twist to the puzzle genre today! 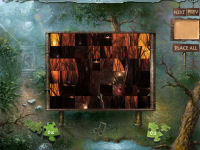 Create your own puzzles with own images and music to share with your friends. Let go of the mind and relax! Enter the world of art and music today! Handdrawn custom made images made by true artists. Custom made music to give atmosphere and fit each theme. Different graphical themes such as Forest, Water, Snow, Art and more. Create your own puzzles with own images and music. Built in music player which plays MP3/OGG/XM/IT/S3M/MO3 formats. Relaxing and easy to understand game play. 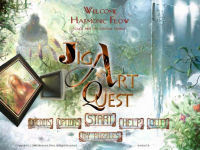 I found Jig Art Quest very entertaining. Very nice art and well set difficulty is what I like. Tell us what do you think! Sign up to our newsletter to get updates about our new games and special offers.